This webinar series is free! Potential clients discover your Elder Law practice in numerous ways—networking, referrals, online marketing. But do you know how to reliably transform those prospects into paying clients? Build a system designed to capture a wide-breadth of qualified leads and nurture them into loyal clientele with less effort. 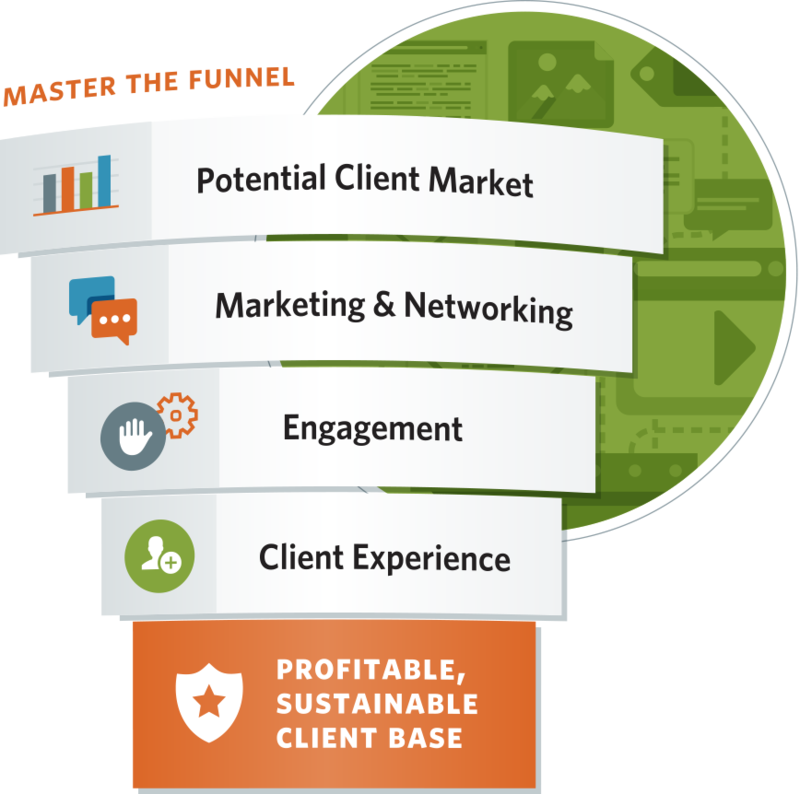 Through expert-led sessions, gain crucial insights into effective and proven elder law marketing funnel techniques. Easily implement the tools from each lesson for quick results. Acquire the most current marketing practices available now and feel more confident that you can transform prospects into loyal clients. You have selected 0 webinar(s). Learn the easy do it yourself law firm content strategies to help you grow your list, capture contact info, offer a better user experience and convert users into retained clients. If you can look up from your smartphone for a second, I can tell you why in-person networking remains vital to starting and maintaining a successful law firm. While much of the buzz these days surrounds building out a web presence and engaging social channels, networking remains, perhaps the most important tool in a lawyer&apos;s arsenal. Networking creates visceral impressions, extends calls to action and can buttress online marketing efforts. If you&apos;re not getting out from behind your desk, you&apos;re doing yourself a disservice.